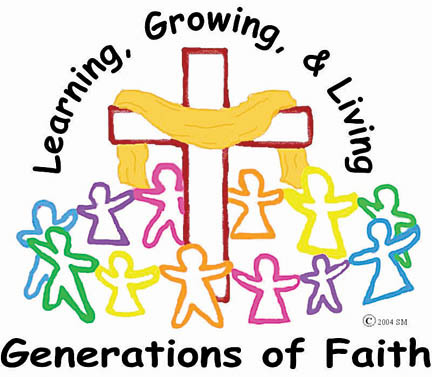 An intergenerational approach to religious education for the entire family - a true alternative to traditional religious education. This Church is a family where each one of us, children, youth and adults, need each other to grown in faith. We want to gather periodically, like families do, in order to deepen our knowledge of one another and of God’s will in our lives. We invite every member of the families of St. John Neumann parish to come and participate in fellowship and faith formation activities so as to go back home enkindled with the fire of the Spirit in their hearts. Children, Youth, Parents, Grandparents, Sponsors, Extended Family, and Adults who want to learn more about Faith. Households of Faith - No matter what your family looks like: nuclear, blended, single parent, grandparents and the grandkids, traditional, you belong here. Supper Matters - We gather once a month for a simple meal together. No cooking - your chance to sit and relax with neighbors and friends. Opening Prayer - Every session is related to the Church year and our opening will lead us into the Church's celebrations and observances. All Ages Learning Activity - No one can talk about the meaning of God with the young people in your life better than you can. This part is designed to help that conversation along. Young people are far more open to Church when the adults in their lives take time to explore it with them. Age Appropriate Activity - It is also important for each age group to be able to ask it's own questions and learn in its own way. Time is reserved for this, too. Adult education without leaving the kids alone! Closing - We gather one more time as a whole group to share what we have learned. At this time home packets are distributed with materials and suggestions. This is to help each household to continue the learning in a variety of ways until we meet again. We close then with prayer. A compilation of our first week of Generations of Faith.